Architects of life. Engineers of memories. Cultivators of craftsmanship. The Town + Country Cedar Homes team does more than design and build custom luxury log and timber frame houses. We create homes where lives take root, traditions are made and families thrive. 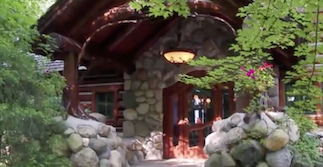 Since 1947 we’ve worked with clients from coast to coast and around the world to conceptualize and craft luxury log homes that are one with the land around them and the lives of the people within them. Treat everyone like family. When you welcome us into your home — even if it’s a blueprint — we extend the warmest courtesy. You’ll be treated with respect for your time, your needs and your ideas. Treat every home like it’s our home. A home is more than four walls. It’s a feeling. It’s your heart. Yours will receive our full attention and care from start to finish, and we’ll keep your luxury log home on track and within budget. You will find Town + Country homes across the country. From water’s edge to mountain vistas and everywhere in between, we’re known for our authentic and innovative designs, quality construction and personal approach that makes the luxury log home building process with Town + Country Cedar Homes a unique, enjoyable experience. Continue exploring our website and our home plans to learn more of our story. Give us a call when you’re ready to start planning the next chapter of your story in your dream home. I can’t thank you enough for taking time out of your Sunday to 'draw' the layout of the home in the snow. I could totally feel every room. I can’t wait to get started! Town + Country Cedar Homes is well known across the country for innovative custom log home designs, timber style home designs, cottage designs – all manner of natural wood home architecture. 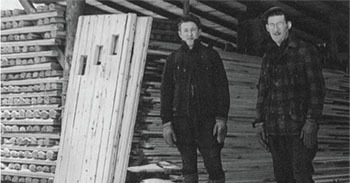 We are a log home builder like none other. But, as with all things beautiful, there must be substance. 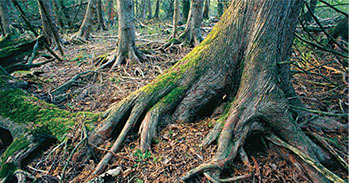 Crafting log homes and much more with White Cedar since 1947. The most dependable, durable and beautiful wood for log homes. Meet our Director of Client Fulfillment in this episode of EPIC LOG HOMES. 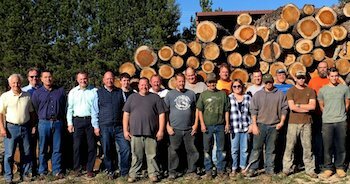 A team that will take the vision you have for your log home and make it a reality.